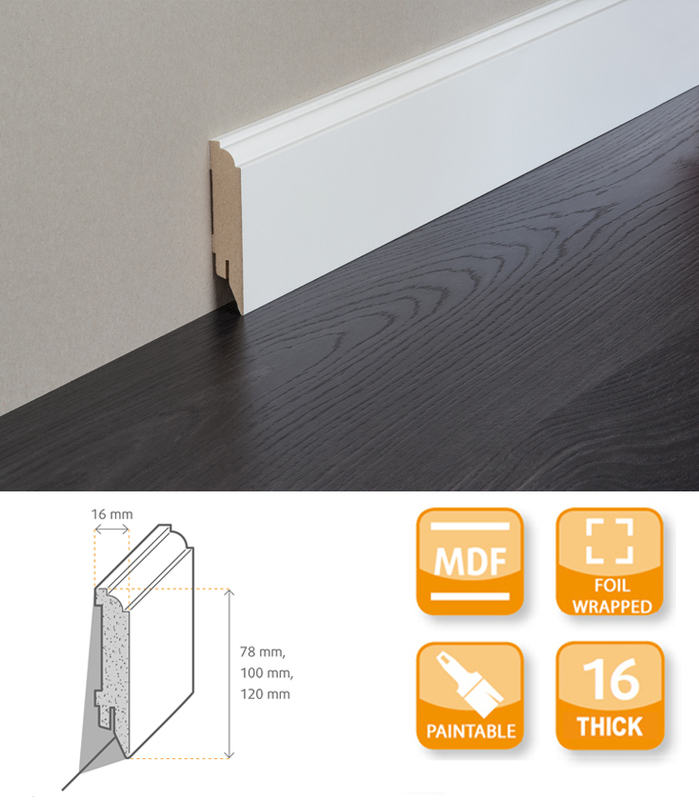 The MDF Primed Foil Skirting Board with Renovation design has utilitarian and decorative purposes, which make it an important element to any room. 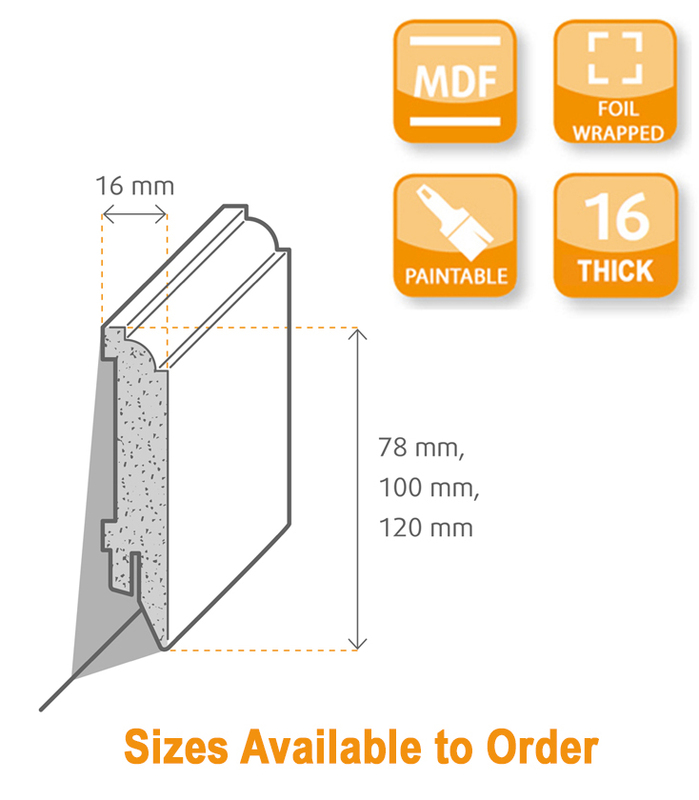 The Renovation skirting board has a classic design and is supplied with a primed foil wrapped on top of the MDF core. It can be varnished with solvent-free paint according to your wishes. No priming required. 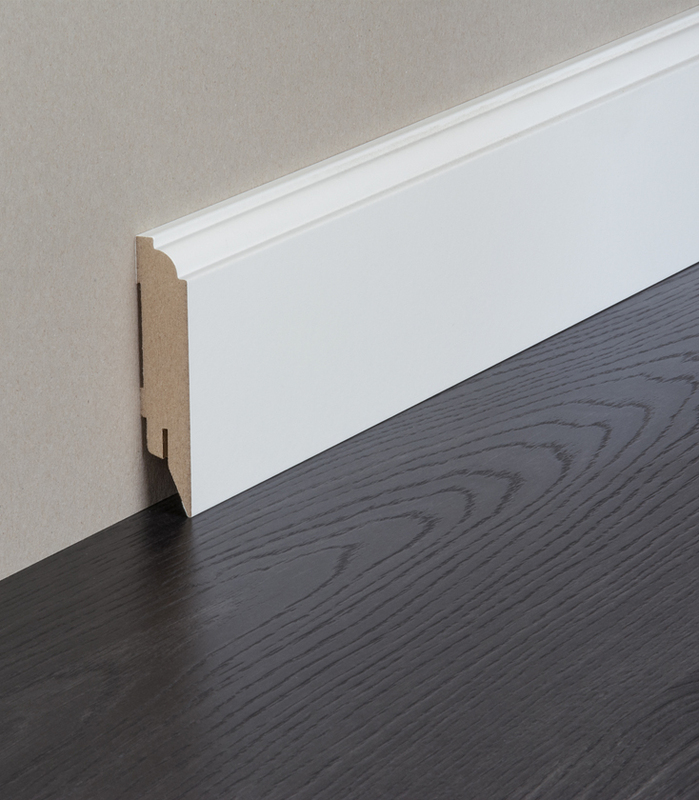 The skirting can be fitted using glue (solvent-free adhesives recommended), nailed or screwed to the wall. The length of each skirting board is 2.5m.